At the Ft. Hood Memorial Service…. I’m sorry folks, but is this the turkey that was elected President of our country? You know, the United States of America ? 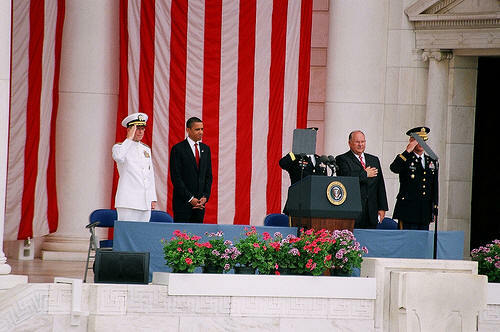 I do believe that saluting the flag goes with that, and also to honor the servicemen who died, or is he above that? Shower us all with flowery words and dazzle us with B.S. but actions speak louder.. This stinks.